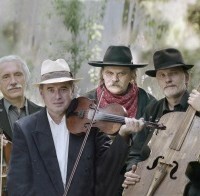 After 40 years of their unrivaled career, MUZSIKÁS is the most renowned and popular Hungarian folkmusic ensemble worldwide and in Hungary. Hanga Kacsó, the 2014 winner of the Hungarian talent show for folk music and folkdance, will be performing. On September 13th, they will play a tribute concert in commemoration of 1956, followed by a Hungarian táncház, which is an informal dance event where anyone can participate.